Learn how to uncurl documents - permanently and safe. 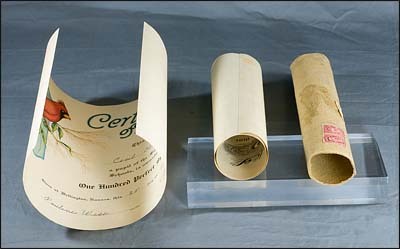 Learn how to uncurl documents. See how to photograph pictures in round frames. Photograph very large pictures and documents. Use common household items to create a studio. Smart phones and tables for archive photography. High quality custom images - not clip art. Written by a professional photographer and archivist. Complete data on archival safe storage. More than 100 pages of an equivalent printed book. 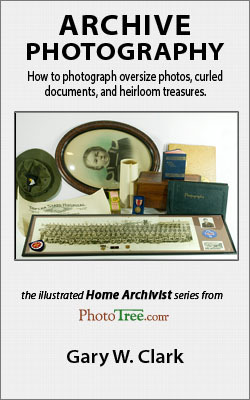 Capture beautiful images of your family treasures for your enchanting scrapbooks and historical family albums.